Fatigue, headaches, sleep disorders, weakened immunity. These are the consequences of winter and summer time changing for the majority of European inhabitants. The savings of energy, for which the winter and summer time changing was put into practice, have not been seen for many years though. In 2018 the European Union decided, on the basis of the research among the European public, to cancel time changing. The members of the European Parliament, however, have recently put off the long-awaited change up to the year 2021. 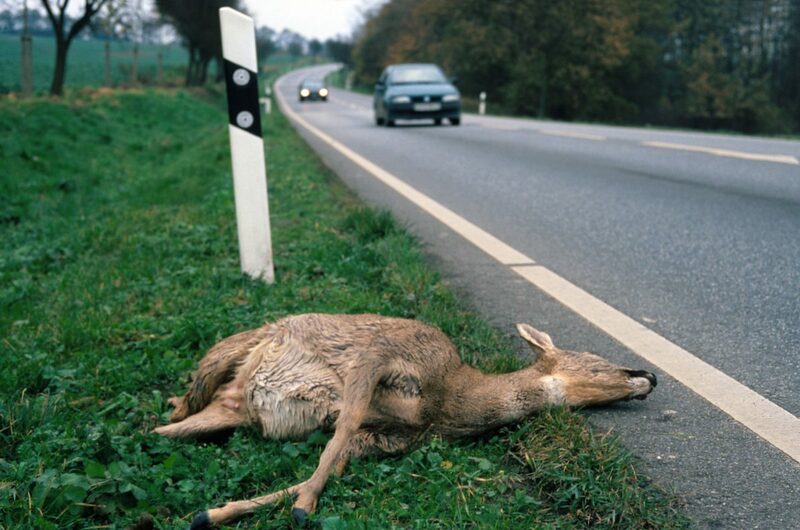 The changeover to summer time, which will happen during the night from Saturday, 30th March, to Sunday, 31st March, will in fact start more needless animal massacres on European roads. According to German car club ADAC, the number of motorist collisions with animals grows by about 20 per cent after the time changing. 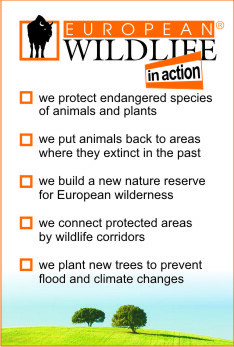 At the same time there are tens of thousands of car collisions with wild animals on European roads every year. “The statistics, however, notice only the collisions with bigger animal species when there is car damage or passenger injuries. A large number of collisions when hares, hedgehogs and other smaller animals die is thus not registered at all,’’ points out Dalibor Dostál, the Director of European Wildlife conservation organisation. The numbers of smaller animals in the countryside are significantly higher than those of bigger animals, though. Most of the collisions when “only’’ animals are killed are therefore not registered at all. “Because of the time changing, thousands or tens of thousands of animals die needlessly on European roads,’’ estimated Dalibor Dostál. The risk of a collision with an animal is, according to traffic experts, the highest two hours after sunset and one hour before sunrise. The worst period is at about ten o´clock in the evening. The time changing is not only a killer for animals on the roads, but also for man. According to an American cardiologist study, for example, the number of heart attacks increases by about 25 per cent one day after summer time coming and, in contrast, after the changeover to winter time it decreases by approximately the same rate. The number of strokes, according to American scientists, rises by 2 per cent. Another study by scientists from the USA has found that there is double the number of abortions with women who had IVF. There is also a growth in accidents and injuries. Swedish research says that after time changing to summer, the number of road accidents grew by 11 per cent. An American study registers a growth in work accidents of 6 per cent and, what is more, with more serious consequences. Scientists at the Institute of Physiology CAS therefore recommended the keeping of so-called winter time after the time changing cancellation last year. According to research, winter time actually improves sleep quality, is healthier for the human heart, and has a positive influence on body weight. There is also evidence of its connection with a decrease in alcohol and tobacco consumption and with lower cancer occurrence. That is why they consider the time changing cancellation to be an opportunity for an improvement in society’s overall health. Summer time was introduced for the first time during the First World War in 1916. It was first ordered by Germany and the Austro-Hungarian Empire, which the Czech lands were part of. Summer time was used in both countries until 1918. Then it was introduced again during the Second World War, but was again cancelled after that. European countries introduced it again in the second half of the 20th century.